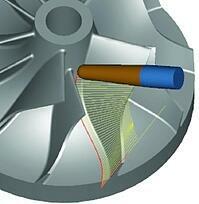 Concepts NREC’s MAX-PAC™ family of CAM software provides optimal cutter-path solutions for turbomachinery components by offering users several cutting strategies that can reduce engineering costs as well as production costs. 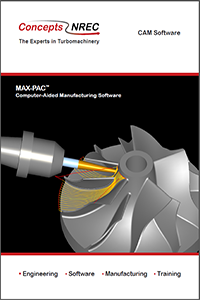 MAX-PAC is available in any combination of modules to suit part geometry requirements for flank milling of ruled-surface blading, point milling of arbitrary-surface blading, point milling of integrally shrouded impellers, or milling of single blades. MAX-5, MAX-AB, MAX-SI, and MAX-PAC are trademarks of Concepts NREC, LLC.